Big brother naija housemates Ifu ennanda and Leo have had to bid goodbye to their chance of winning the grand prize of N45 million. She has taken time to appreciate her fans via her IG Page. Speaking about her time in the house, Ifuennada revealed why she didn’t make out with Rico, even when she wanted. Shortly after exiting the Big Brother house, the evicted housemates were taken straight to the live show with Ebuka. During their session, each of the evicted housemates spoke about their time in the house and answered some questions from viewers. 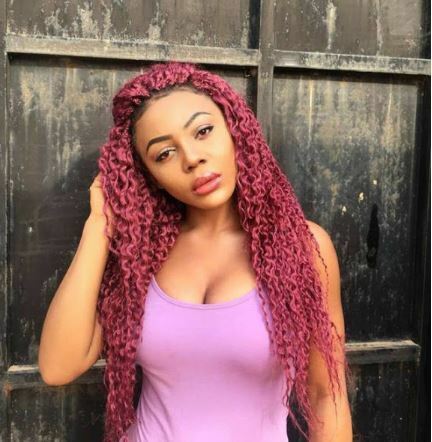 Ifuennada was asked why she didn’t develop any love interest in the house and she responded saying it was a decision she made even before going in the house. She said:- “I decided I won’t be in any relationship this year but I can kiss a guy and move on.” It got more interesting when she revealed she desired to share a kiss with Rico on Saturday, March 10, after their party but was forced to pull back when alcohol took the better part of him. She said:- ”I almost kissed Rico last night but he vomited and I could not kiss a guy who cant control his alcohol intake.” Meanwhile it can be recalled that Rico Swavey told Cee-C that he had a dream where they kissed. Cee-C however laughed it off saying he probably thought of that before he slept.